Will low-cost Jack’s produce another supermarket shakeup? It has become clearer in the last few years that attitudes towards food shopping in the UK have started to change; the heavyweights Tesco, Asda, Sainsbury’s and Morrisons no longer have an unbreakable monopoly. In the Which? 2018 surveys for the best in-store supermarkets, Aldi and Lidl came 1st and 3rd respectively, with five-star ratings for the criterion ‘value for money’. Tesco and Morrisons, by contrast, came 6th and 7th respectively with three-star ratings for the same criterion. Higher prices no longer necessarily correlate to better quality. Many argue the quality of Aldi’s produce is superior to middle-class counterpart’s Waitrose as Aldi sources heavily from UK farmers. Waitrose, on the other hand, imports a large proportion of its produce. In spite of Aldi’s rise to the top, Tesco will hope to have played a lucky card with the launch of its own low-cost supermarket, Jack’s. This piece examines whether Jack’s can take the supermarket industry shakeup one step further than Aldi and Lidl so clearly have. To appreciate the significance of Jack’s launch, we need an overview of how budget supermarkets emerged in the UK. Aldi first landed in the UK in 1990 with a store in Stechford, Birmingham. It now has over 600 with an aim of 1000 by 2022. Despite this and its recent crown, it had a relatively low 7.3% share of the grocery market as of April 2018. One method by which Aldi aims to try and increase its share is by targeting areas where Waitrose is far more commonplace, such as Knutsford and Bury St Edmunds. Lidl first arrived not long after in 1990 and similar to Aldi has over 600 UK stores. It trailed not far behind regarding market share at 5.3% as of April 2018. Jack’s is the UK’s newest low-cost supermarket and it opened its first stores in Chatteris, Cambridgeshire and Immingham, Lincolnshire on the 20th September 2018. Jack’s is not privately owned like Aldi and Lidl but a spin-off owned by the Tesco brand. Thus, any positive performances will likely help the Tesco brand. Despite Aldi’s recent awards, it still lacks a major market share and Sainsbury’s impending merger with Asda is an obstacle. Jack’s is not listed but as noted earlier, it is a subsidiary of Tesco. If Jack’s proves highly successful then Tesco’s market share could potentially push towards 50% in coming years. Aldi and Lidl are expanding rapidly and many food shoppers may be migrating to them. Collectively, they plan to open 800 new stores by 2022. To maintain this growth and reach double digit market shares however, they will need to fend off these bigger players. There is limited information on Jack’s because it only launched ten days ago and it currently has just two stores. Henceforth we can merely make predictions about what it might do to the supermarket industry. Tesco deny the brand’s name has anything to do with Brexit but simply a mark of respect to Tesco founder Jack Cohen. If you walk into any of the two Jack’s stores, Union Jacks flags are in abundance. Some argue Jack’s aims to promote British produce in light of Brexit, perhaps even to revive British farming. In-store signs state ‘eight out of ten products are British’. It is implied that Jack’s has learnt lessons from Aldi; a big supporter of British produce with similar in-store signs. Tesco has a range of 25,000 products but Jack’s has radically trimmed this to 2,600 with 70% being own-brand. Now whilst this has trend positives of making food shopping simple it also suggests connotations of pre-EU membership Britain. ‘All our tea is blended in Britain’ is another poster statement but this is true of the majority of tea in UK supermarkets. It is as if the creators want a more nostalgic experience. The fault with this lies in a recent National Farmer’s Union study from August 2018. It believes that currently the UK can only produce 60% of its own food compared to 74%, 30 years ago. Of course in the uncertain times of Brexit we have to be cautious what we believe due to ‘leave’ and ‘remain’ bias. The NFU further believes this 60% figure will drop after Brexit. Redress is of course an option and an opportunity to turn this figure around in spite of Brexit. In this sense, Jack’s could lead to post-Brexit prosperity for groceries. If you take a brand exposure perspective, Jack’s advances ‘pro-Britain’ credentials for Tesco because it offers a narrower range of products that are not imported. Research by IGD analysts states 68% of surveyed shoppers believe supermarkets need to focus on selling more British-farmed produce. So there is evidence for such a move, its just a case of sticking to such a policy and waiting for any rewards. The supermarket industry is experiencing drastic change. 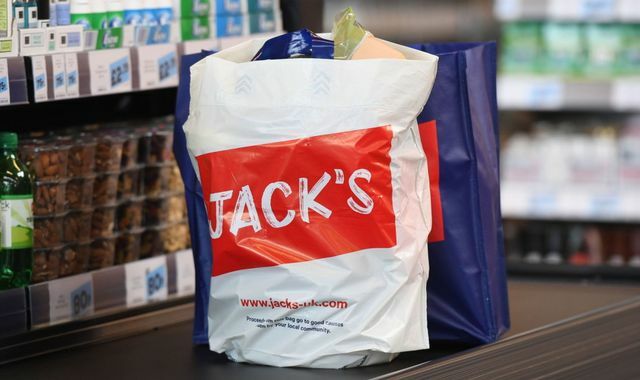 The launch of Jack’s is an exciting prospect due to its similarities with popular German discounters Aldi and Lidl but also its focus on British-produce. The UK imports the vast majority of its food, so Jack’s focus on national produce can only be seen as refreshing. Jack’s has the potential to exploit the recent shift in consumer trends in favour of homegrown produce. It could even spark a revival of British farming for post-Brexit Britain. Like any newly launched company Jack’s will probably hit initial barriers, and may need several years of trading before any tangible rewards. Nevertheless it is the move by a big four supermarket to try and further its stake by adding a low-cost market to its portfolio that shows the volatility of the industry and how far competitors will go to have the upper hand. Jack’s may be the start of something new that is yet to unravel, and it is this curiosity that is so exciting for the market.